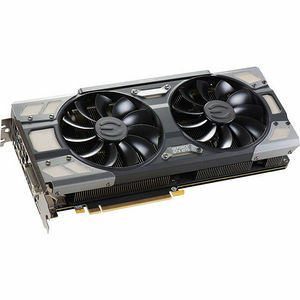 These cards also feature EVGA ACX 3.0 cooling technology. EVGA ACX 3.0 once again brings new and exciting features to the award winning EVGA ACX cooling technology. SHP 2.0 gives increased heatpipes and copper contact area for cooler operation, and optimized fan curve for even quieter gaming. Of course, ACX 3.0 coolers also feature optimized swept fan blades, double ball bearings and an extreme low power motor, delivering more air flow with less power, unlocking additional power for the GPU. Select EVGA ACX 3.0 models will even feature a 10CM fan and RGB LED, allowing complete control over the color from EVGA PrecisionX OC.